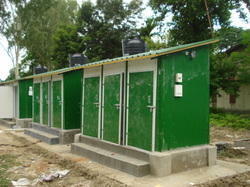 Our firm specializes in providing a quality array of FRP Portable Toilets. 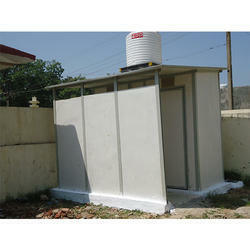 The offered portable toilet is designed by our experts using finest material & leading techniques. - ery suitable for Flooded or High Water Table or Rocky ground areas where ground water table is very high or ground is rocky and unfit for digging. FRP Toilets are portable toilets to fulfill the need of sanitation required at construction site offices, other locations where septic tank or sewage network is in place.